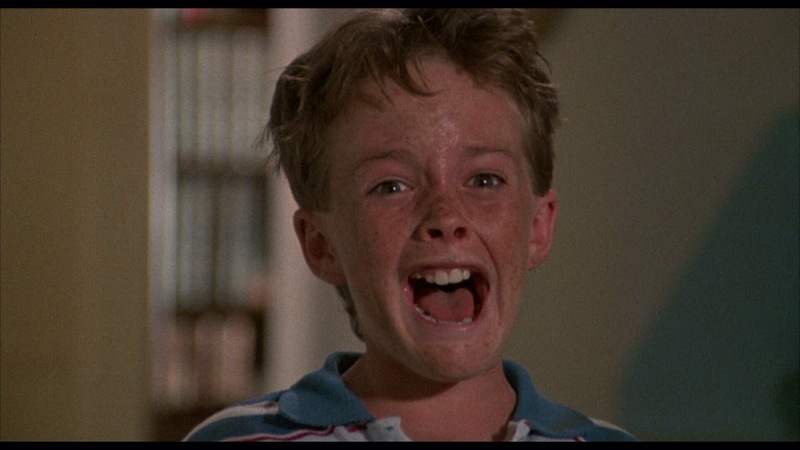 Released in 1990 Troll 2 is often dubbed the best worst film of all time. The word worst movie ever is often tossed around way too much and 99% of the time its way off base. Troll 2 is a bad film lets make no mistake, but while a hack job I have seen films far worse such as some films by Uli Lommell such as BTK Killer and Curse of the Zodiac. Those two films have no redeeming qualities and could be considered two of the worst films made. What keeps Troll 2 from being the actual worst film, is as scary as it may sound its better made than the two films I mentioned and Troll 2 is a complete blast! Worst movie ever to me is a film that’s not only poorly made, but worst of all boring and as bad as Troll 2 is its never boring as this film throughout most of the running time is hysterical. 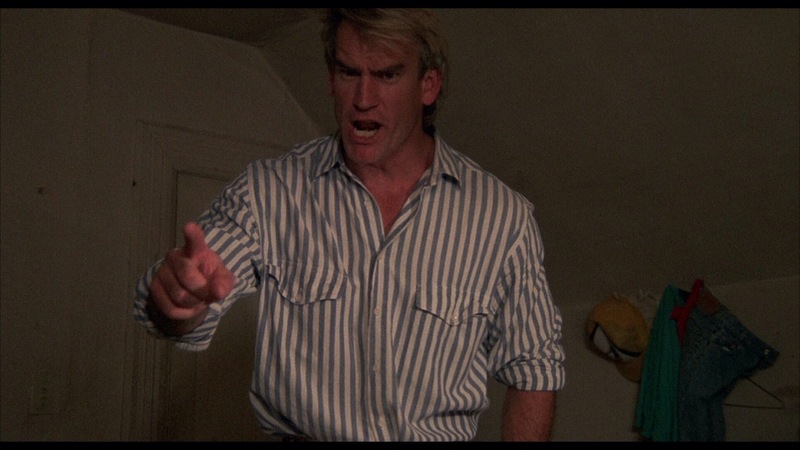 However with that said Troll 2 is easily one of the ultimate so bad its good movies and its really difficult to hate a film this bad and one of the stars of the film Michael Stephenson even made a documentary titled Best Worst Movie. Troll 2 was directed by Claudio Fragasso using the name Drake Floyd and when it comes to Fragasso he’s gained a cult following as many see his films as so bad they’re good. Some have called him the Italian Ed Wood (same for Bruno Mattie who would form a partnership with Fragasso, but more on that later). In many ways Troll 2 can be seen as Fragasso’s Plan 9 from Outer Space as both films were made as serious pictures, but both were hack jobs loaded with unintentional comedy. When it comes to the films of Claudio Fragasso I can’t say that I’m a fan of his work and while I get his appeal I often find his films fun early on, but as they go on they just get annoying. Films such as Zombie 4: After Death and Monster Dog, which he made under the name Clyde Anderson, have some fun moments in particular Zombie 4, but when all is said and done I really have little desire to see either anytime soon I’m more into filmmakers such as Juan Piquer Simon who is dubbed the Spanish Ed Wood and as for the actual Ed Wood I also prefer him to Fragasso. 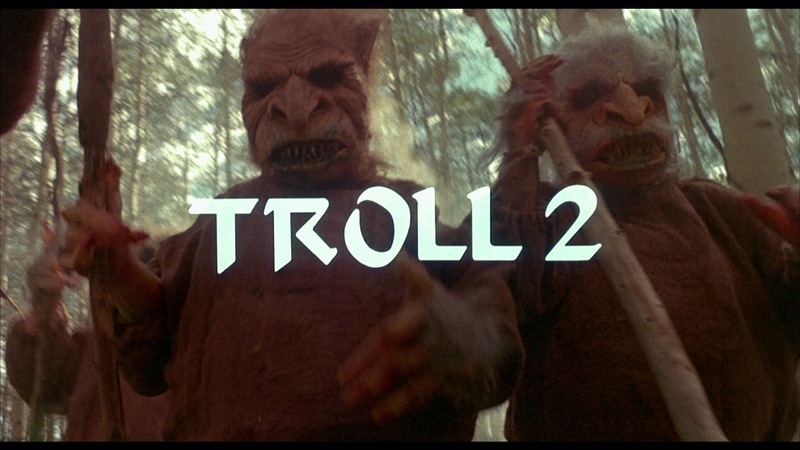 Troll 2 unlike a lot of other Fragasso films is a movie I every so often revisit. 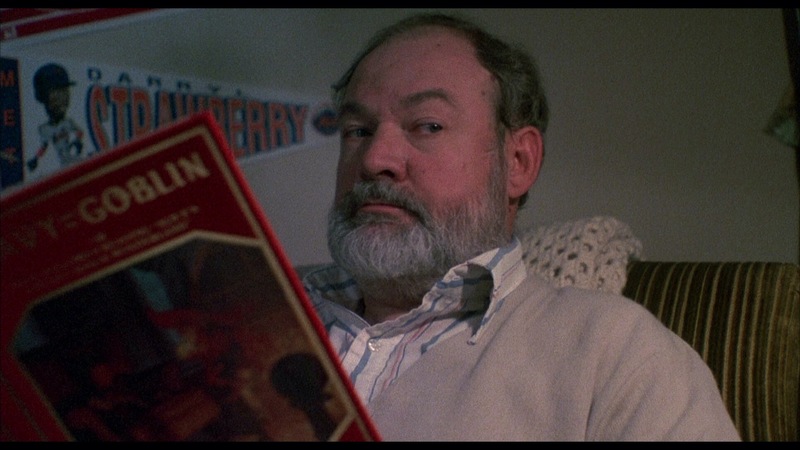 Troll 2 isn’t a sequel to Troll the 2 was thrown on for marketing and this in my opinion would be Fragasso’s best film, which is truly a scary thought. Are you nuts? You trying to turn me into a homo? Wouldn’t be too hard. If my father discovers you here, he’d cut off your little nuts and eat them. He can’t stand you. They’re eating her and then they’re going to eat me. Oh my god! Do you see this writing? Do you know what it means? Hospitality. And you can’t piss on hospitality! I won’t allow it! Tightening my belt one loop so that I don’t feel hunger pains, and your sister and mother will have to do likewise. Ok Joshua. You wanna get rough with me? You wanna show me that you don’t like the choice of this house for our vacation by going on a hunger strike? Well, I’ll accept the the challenge. But just remember when I was your age, I really did suffer from hunger. We’ll see who gets through this, but just remember I’ve for more practice than you. I’ll see you tomorrow. 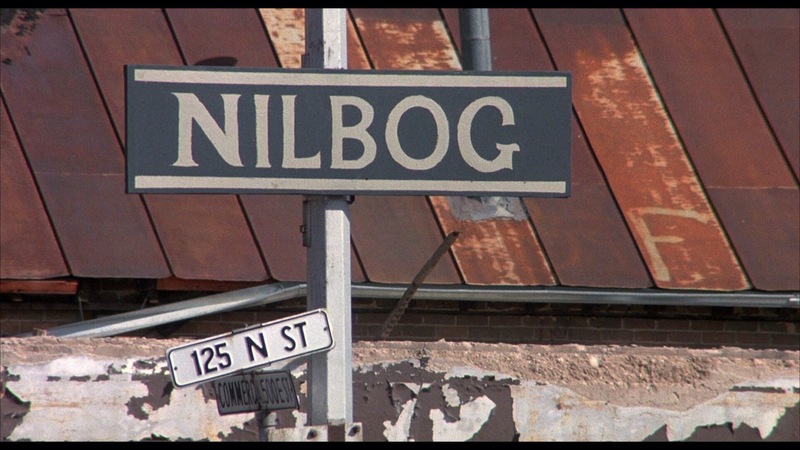 Nilbog! It’s goblin spelled backwards! This is their kingdom! Joshua, start singing. Come on, sing that song I like so much. I don’t feel like singing, mom. Regardless if he’s Claudio Fragasso, Clyde Anderson or Drake Floyd, Claudio isn’t exactly great at his craft. As I mentioned I’ve never been a huge fan of his work as I find his films fun to a certain point, but at some point of the film I lose interest. As I mentioned the script was meant to be serious and so was the direction. Fragasso says he made a deep film dealing with life, death and family and he doesn’t understand why people laugh at the film. The fact he was actually trying to make a good film makes Troll 2 even more fun. The actors realize what the film is, but not Fragasso and he even heckled the cast at a Q & A for insulting the film! However over the years, Fragasso has come to terms with the reputation of the film. 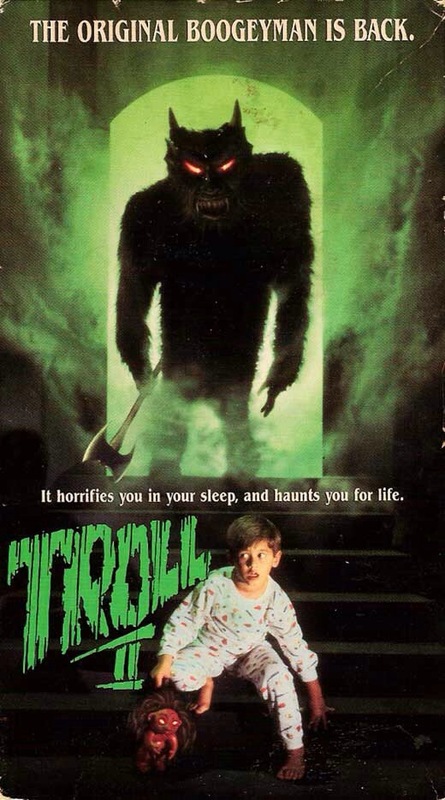 Troll 2 runs at a great pace as for the good portion of its running time its quite hysterical and while the 2nd half can be a little sluggish in spots where it does slightly run out of steam, but it picks up again quickly as Fragasso crafts enough absurdly bad moments that are quite fun. I think the truly scary thing is how Fragasso not only attempted a legit and deep film, but how oblivious he is on what he made. Great film or bad film I think every filmmaker should be proud of their work, but you also have to be honest and know when you made a turkey, but knowing this was made as a legit film really does make things even more fun. At times its actually quite shockingly bad, but Fragssso easily in my opinion delivers one of the ultimate so bad its good films and while its no Plan 9 from Outer Space, Fragasso still makes such a bad, but so much film. What’s also funny is its not even trolls, but goblins not that it really matters! As for the appearance of the trolls (um goblins) it looks like they’re wearing masks that can be bought for a few dollars. What can I really say about the acting that’s hasn’t been said? I for one love the performances since they greatly add to the badness of the film. All the actors in particular the main ones were so much fun to watch and as we learned in Best Worst Movie Connie McFarland doesn’t even list Troll 2 on her resume. As I mentioned Claudio Fragasso and Bruno Mattei would form a partnership with Claudio writing or co-writing such films as The Other Hell, Hell of the Living Dead, Women’s Prison Massacre, Rats and Strike Commando with Bruno serving as director. Claudio Fragasso also wrote Zombie 3, which was directed by Lucio Fulci, but roughly 40-minutes were added in reshoots as after editing the film was only about 50-minutes and the additional scenes were shot by Bruno Mattei. In most of their collaborations, Fragssso besides writing also often served as an assistant director. Their partnership would deliver plenty of so bad its good films and Fragasso’s wife Rossella Drudi was often involved in the writing, but her name was almost always left off. Its kinda of fitting isn’t it that these three would make films together. As I mentioned Bruno Mattei was often dubbed the Italian Ed Wood and Bruno unlike Claudio would be the first to admit his films weren’t very good, but its quite easy to why the films they made together have become cult classics. Laura Gemser best known for the Black Emanuelle series served as the costume designer on Troll 2. Troll 2 was released on blu-ray by FOX and if you’ve seen any of the MGM title FOX have put out on blu-ray you should know what to expect. Audio and video is fairly decent and probably better than most would expect, but its nothing demo worthy. 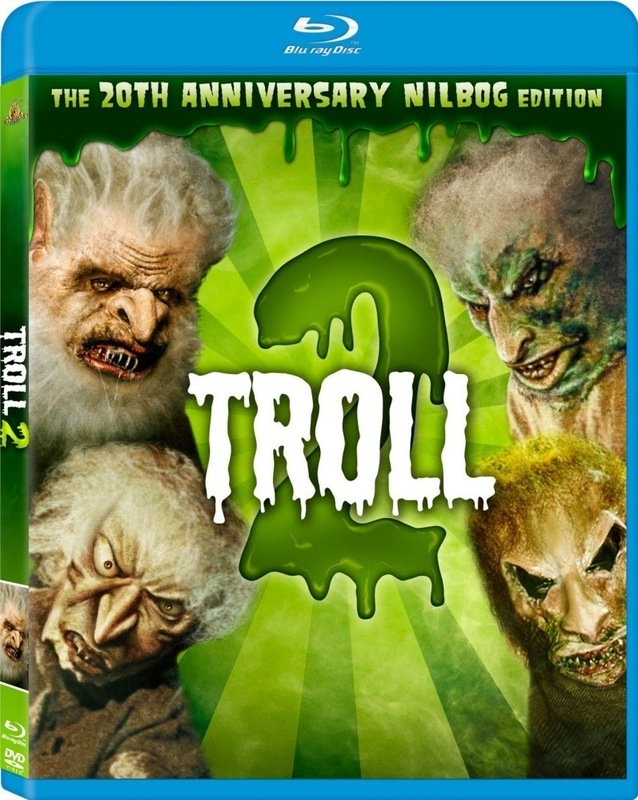 The cover boasts the words 20th-Anniversary Nilbog Edition, but there aren’t any features on the disc except for a trailer. Not much of an edition. Also a DVD copy is included. Despite being a 20th-Anniversary Edition there isn’t anything special about it, but while I’m sure fans would have liked something on the disc, but its still a worthy edition to a collection. Too bad FOX couldn’t work something out for Best Worst Movie to be part of the release. 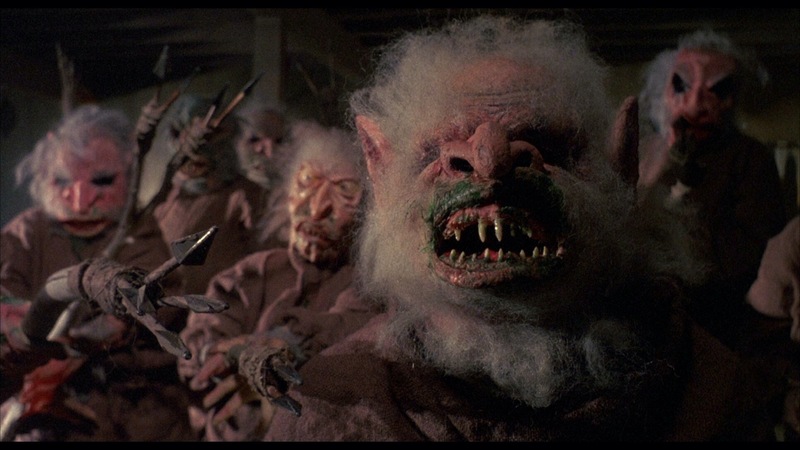 Its again disappointing that Troll 2 is a bare bones release, but with decent enough audio and video and being such a fun film I guess it can be sort of overlooked to some degree.